Feeling tired and run-down? 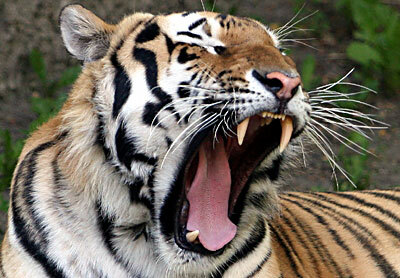 Are you always yawning? Constantly drinking coffee at work to stop you falling asleep? Sitting inside and swallowing your food at your desk doesn’t do you any good and it doesn’t make your work any better. Go outside to a local park or other public seating area and eat there. Afterwards go for a fast walk that takes you at least 20 minutes to return to the office. Take your headphones and MP3 player if you want and you can listen to some music or the radio while you walk. I always do this and it definitely helps me feel better for the rest of the day. 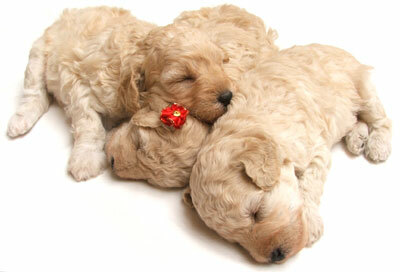 Follow the example of the cute puppies in the photo above and make sure you get enough sleep. They say on average you should get 8 hours. Some people need more eg: I need about 9 hours and others need less eg: 7 hours, one things for sure … coming home late and getting 3-4 hours sleep before going to work the next day is not enough. People frequently get in the habit of trying to do too much. The demands they are putting on themselves may leave them feel fatigued – and if there are not enough hours in the day to juggle their job, family and friends, then they may end up not getting enough sleep either. On the other hand, having a more balanced lifestyle, making some time for yourself, and learning to relax and slow down sometimes will mean you’ll be more able to function efficiently. Think about what you could change to give yourself more time for relaxation. It’s also best to have realistic expectations about what you can achieve rather than running yourself into the ground! Exercise and the “Runner’s High”: can it really make you happy? Agree with you on point 1. Unfortunately, working here in the states, my company has the cafeteria indoors, and in winter the best I can do is get away from my desk. Still it is good to walk a bit after lunch. Point 2. 2 yr old kid who doesn’t sleep through the night. Enough said. Point 3. See Point 2. Work – daycare – Play – Sleep – start again. Time for little else. Still, I try and fit in exercise when I can (eg take the stairs instead of the lift). Point 1 messed me up for awhile when I first started working from home. I ate breakfast, lunch, and oftentimes dinner right at my desk figuring I could get more work done if I ate while I did it. Then I started getting hungry more often while working, so I put a stop to that and began eating elsewhere. I have a 2 year old and a 9 month old. Getting enough sleep is hard sometimes, especially if one of them is sick. Thought neither one is in daycare (we’re lucky enough to have help watching them) I work an hour away from home. Get up, drive to work, work, drive home, eat dinner, sleep. 1. Well thats a great tip. When i eat lunch at work. I feel so bored and tired and think about work even more. 2. Getting sleep is key to everything, looking well aswell requires sleep. I have to get 9 hours. Otherwise i feel so bad during the day. 3. I do also move to fast so i am going to slow down. These tips are simple, but good. Thanks, im gonna let you know about my progress aswell. oh this post is for me because i am a half-asleep zombie:) yep getting enough sleep is very important but i cant.. maybe i am insomniac..
All 3 tips are good, one problem only-think we all know what do it;s just hard to make it sometimes. Winter come and it’s hard to eat outside for example. About getting enough sleep well I have no idea how people with kids make it, I know that I can hardly get more than 6 hours in average. Simply to much to do and trying to go to sleep earlier with to many things on my mind has no effect, just makes me more anxious. Thanks for the tips above. they are nice. And special thanks for the pic of puppies. I just love the pic. they are really cute. This is the tips that i need cause i am a person who don’t really had the time to sleep as i am working full time plus i have a part time job at home. The first and second tips will do for me but not the third one.